Home > Blog > What has happened to Ted? What has happened to Ted? 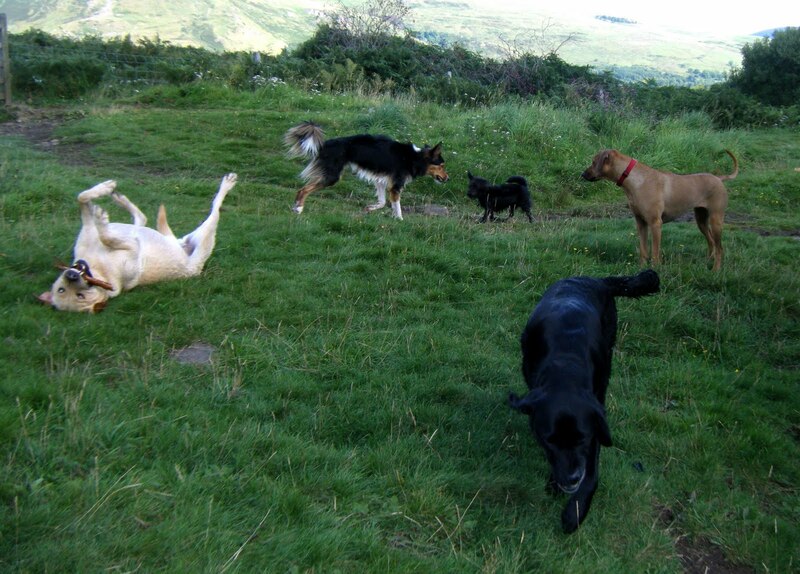 Uneventful morning walk, then out with me this afternoon were Laddie & Meg, Zola, Rocco, Lily and Ted. Up ’til now, Ted (the Golden Lab in the photo) has been very calm,would just plod along with me enjoying the wilds that I walk. I don’t know if its just that he is getting more comfortable round me, but today he was like a different dog. He was racing Laddie for sticks, and when he won them he would have a maddie with his stick (see the youtube footage – hysterical!). If he didn’t win them, he would dive and get stones from the bottom of Deil’s Crag Dam (even funnier), and he even decided that he wanted to play with Meg and her stick – never a great idea to try and get Meg’s possessions from her! I laughed so many times today at Ted’s antics – he is hysterical!